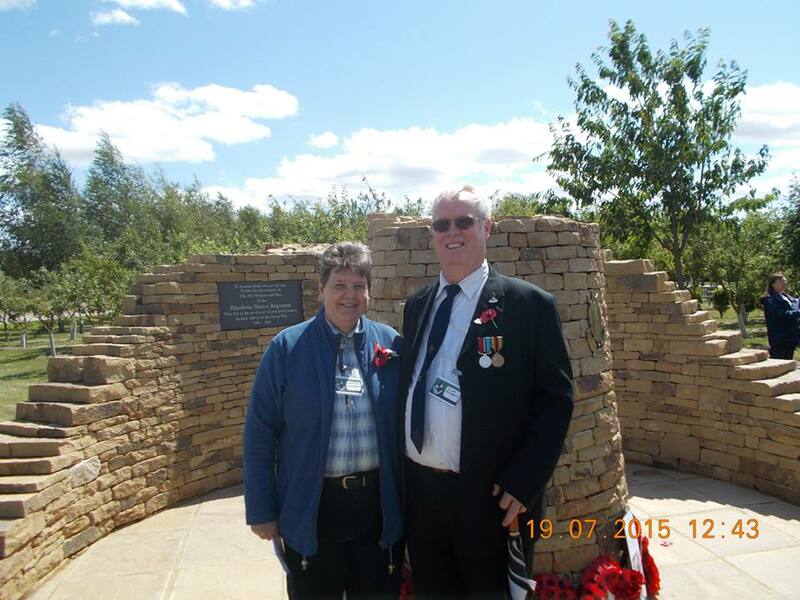 My wife, Yvonne, and I were privileged to attend the unveiling of the RAR Memorial at The National Memorial Arboretum on Sunday 19 July. 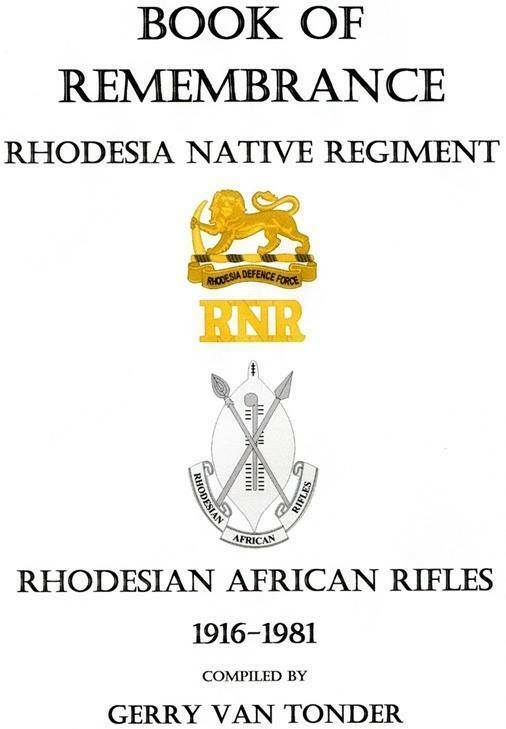 It was a day to remember the amazing contribution of the RAR in both World Wars, the Malayan War and the Rhodesian War. It was a special time to remember those of their number that had fallen, and to acknowledge those who had contributed with amazing courage. The dedication by the Army Chaplain was sensitive and pertinent. 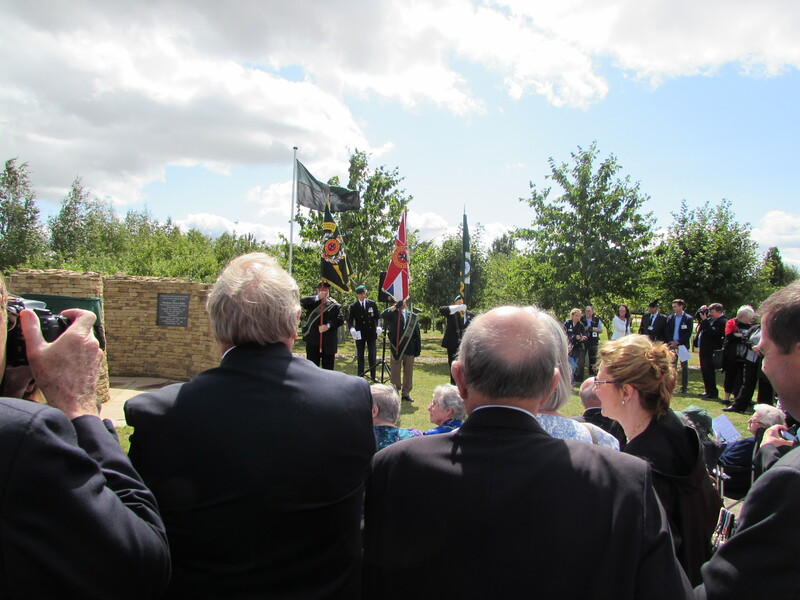 One of the proud soldiers prayed, another read a verse from The Fallen, a poem by Robert L. Binyon and one, who was honoured with a long awaited medal, unveiled the plaque with dignity. The Marquee Lord Salisbury delivered a stirring tribute with honesty and passion. The Last Post was played as the Standards were lowered, with Rivali rounding it up. The proud warriors of the RAR then ended by singing “Sweet Banana”, with the crowd joining in. 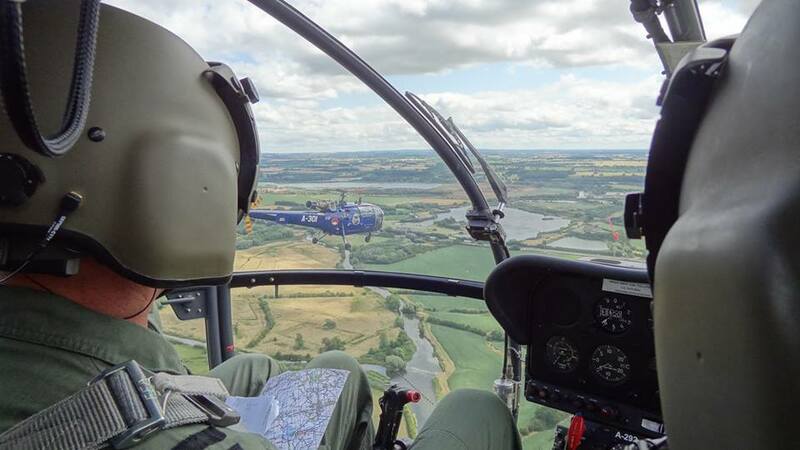 A fly past of two Alouette 3 helicopters ended the proceedings. To say no tears were shed would be a lie. Old friendships were rekindled, new ones forged. An amazing day to be remembered, to be sure. 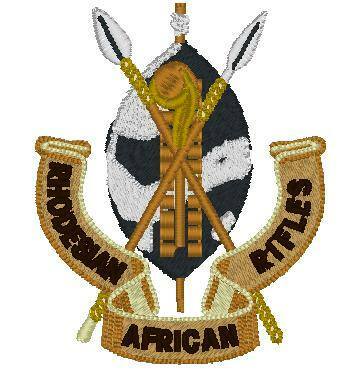 We are truly “proud to be Rhodesian”. 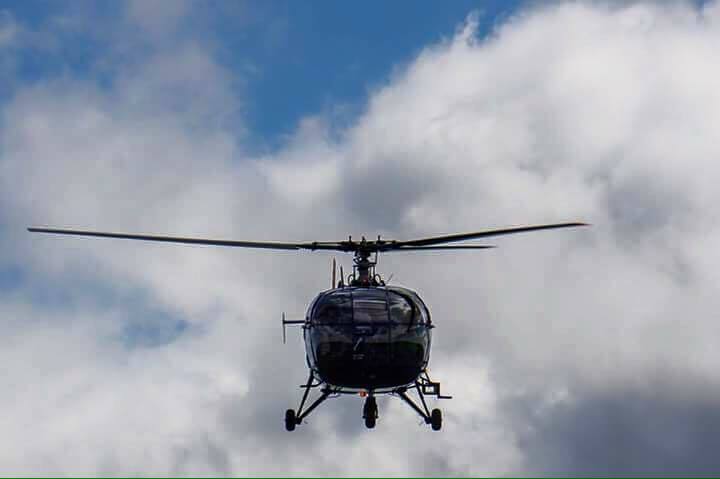 300 SQD Royal Netherlands Air Force on the way to the Rhodesia Native Regiment and Rhodesian African Rifles Memorial 19th July 2015 @ National Memorial Arboretum, Staffordshire, United Kingdom. There was plenty of emotion on the ground on this our special day. Of you brave men, some gone before. Stand here with thoughts we cannot hide. 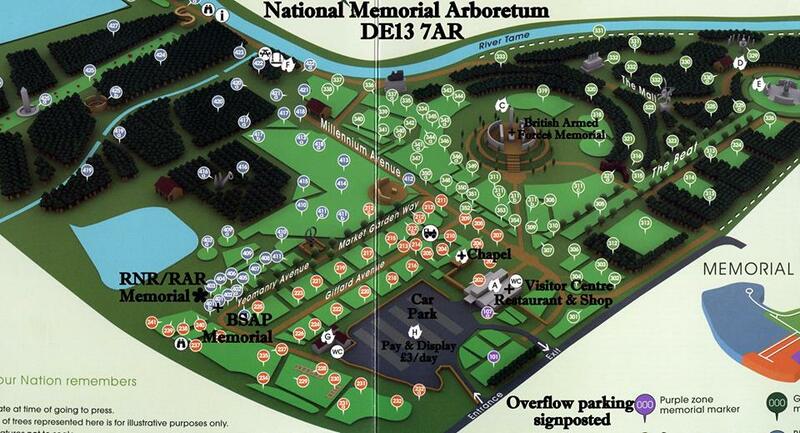 Herewith a map of the NMA for 19 July, for those who might be interested. 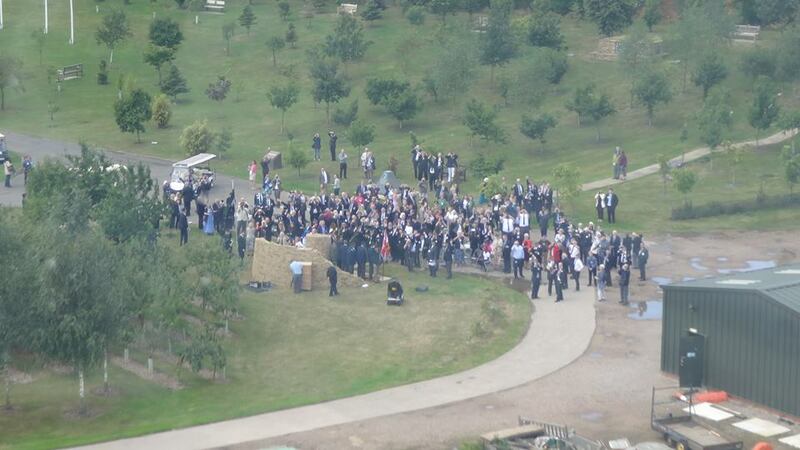 I have annotated the RNR/RAR Memorial site, as well as the Car Park, Visitor Centre, etc. For Satnav users, I have inserted the postcode to use at the top of the map. 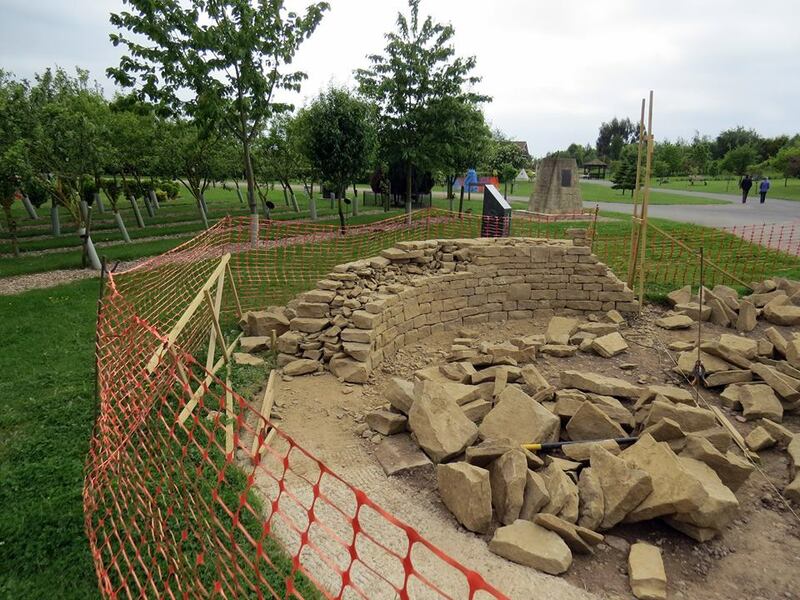 I took these photos at the National Memorial Arboretum yesterday, 27th May 2015 showing work in progress. The semi-pyramid in the background is the BSAP Memorial. 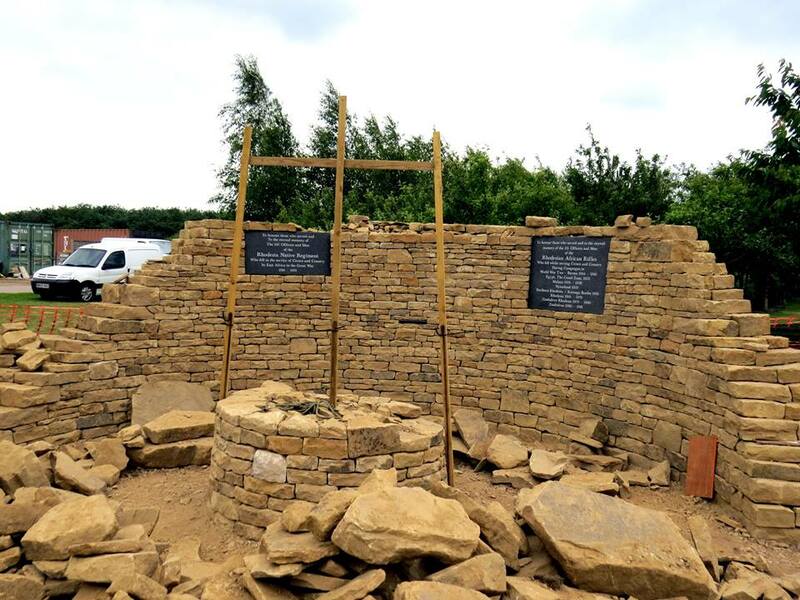 The main plaques are in and work has started on the tower. Looking very good. at the National Memorial Arboretum, near Alrewas, Staffordshire. 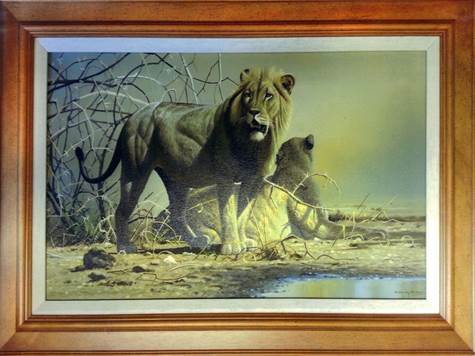 The two paintings are original framed Craig Bone paintings which have been gifted to the RAAMT RAR Memorial Fund. 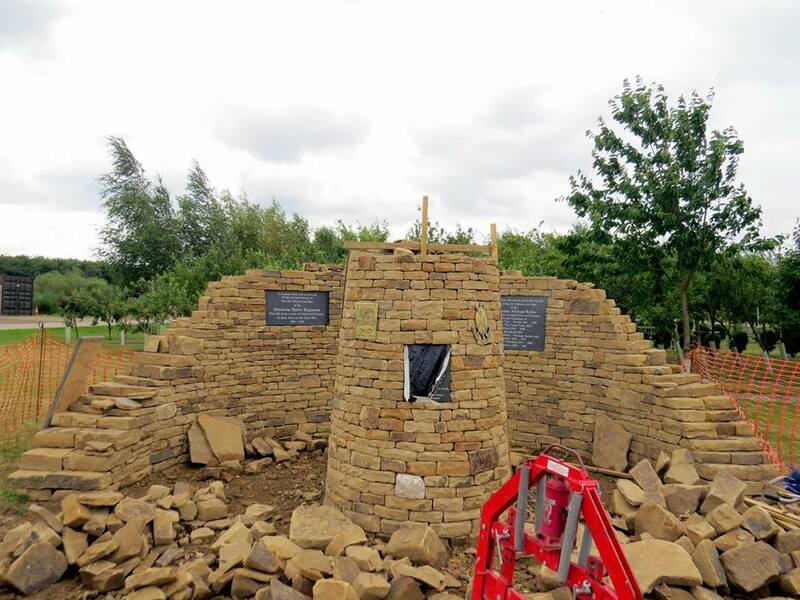 They are currently held by the RAR Memorial Committee in England, and will be on display at the Memorial unveiling on Sunday 19th July for any last-minute bids. 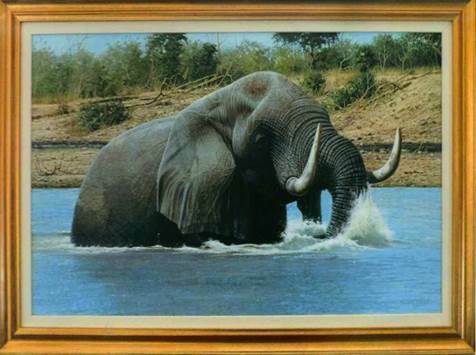 The RSA has very kindly waived their normal fees for these two paintings when they are sold. 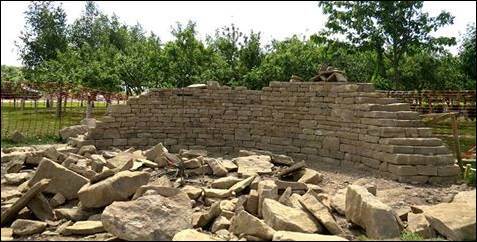 We are now in the final stages of completion of construction of the memorial, and our creditors are circling in the background like Hyenas. Your efforts so far have been herculean, only matched by your generosity, and we now need to tie up all the loose ends. 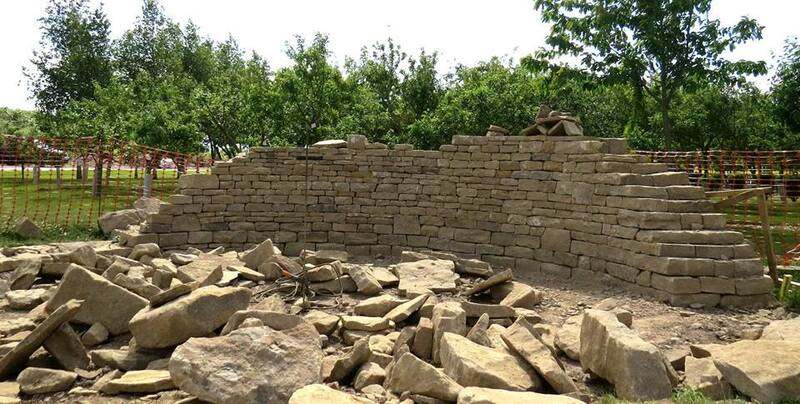 Through the hard work of a number of people, and the generosity of many donors, the construction of the Memorial has commenced. 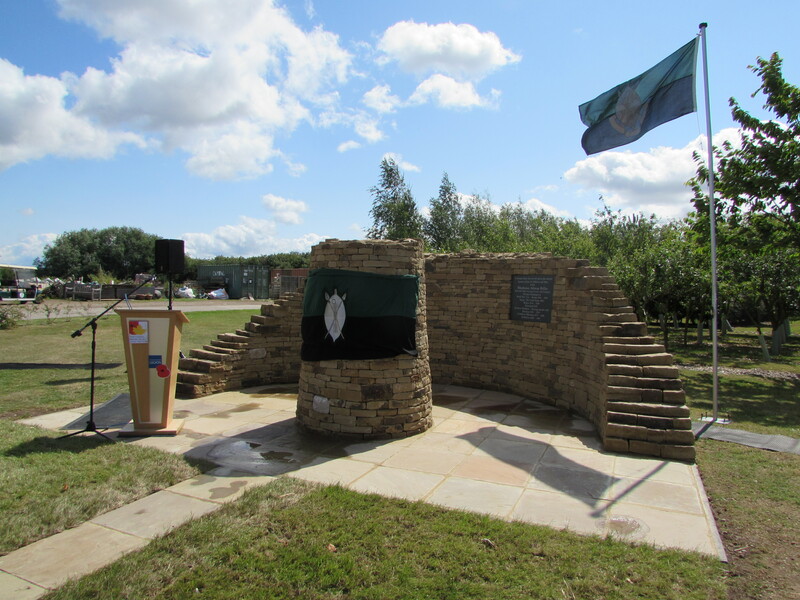 The Memorial, depicting the wall and tower of the Zimbabwe Ruins, is sited next to the BSA Police memorial at the National Memorial Arboretum in Staffordshire. 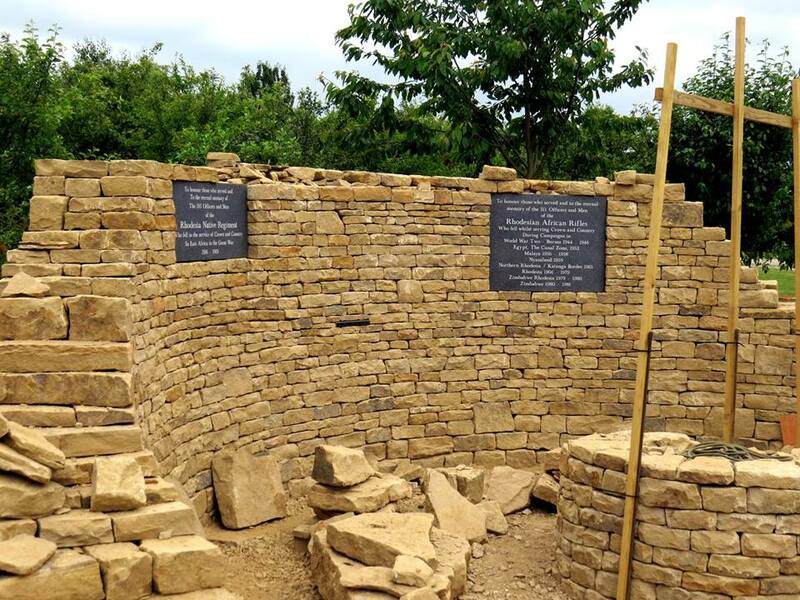 Below is a photograph taken during construction, which commenced on 7 May, with photograph of the Brass Regimental Badges, that will be affixed to the tower. 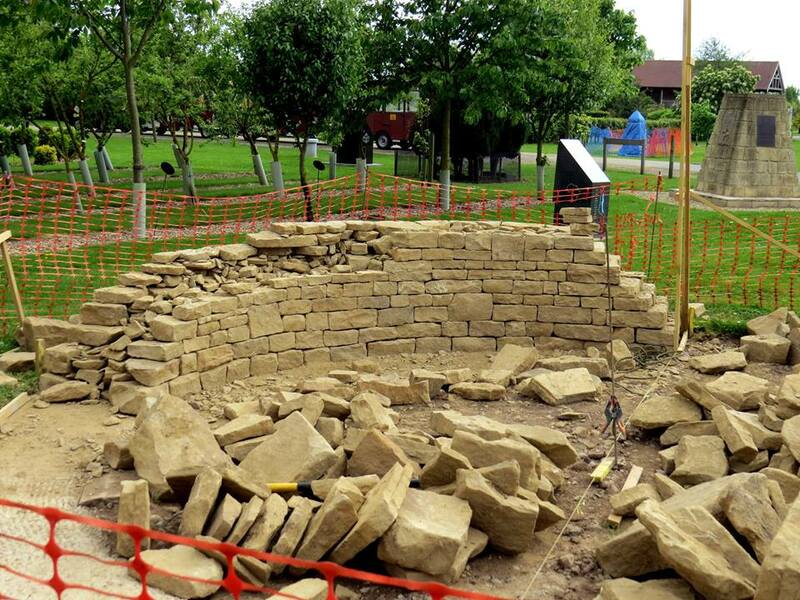 The unveiling and Dedication Ceremony will take place at 11:00 am on Sunday 19th July 2015. 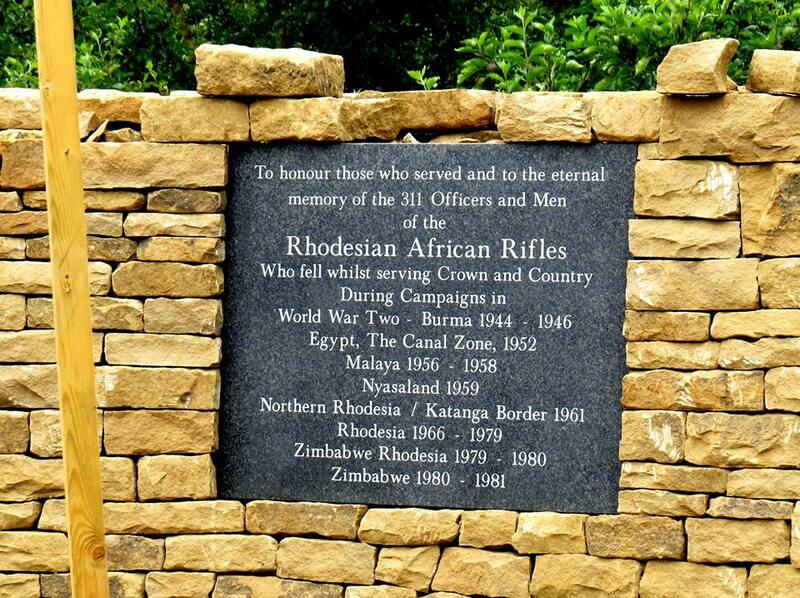 The main Address will be by Lord Salisbury, President of the Rhodesian African Rifles Association. 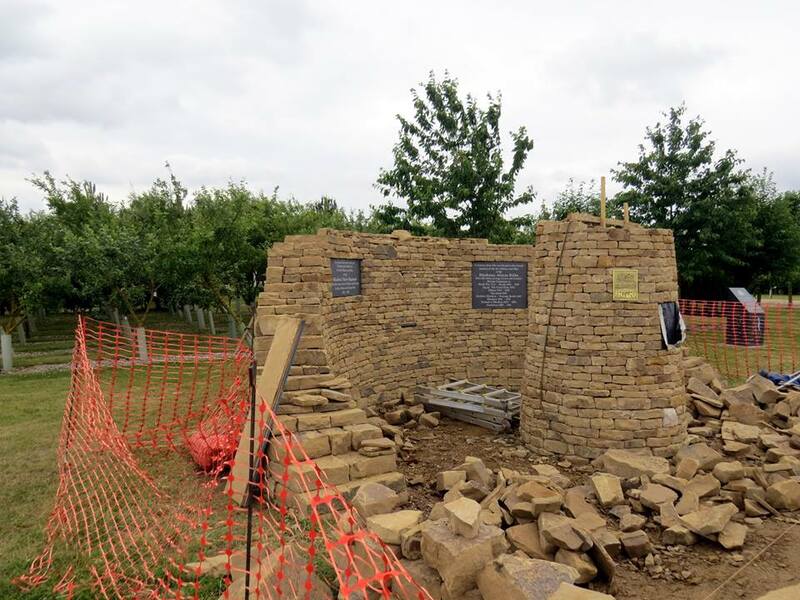 Over two hundred former members of the Regiment, their families and guests, are expected to attend with a number of relatives of those who gave their lives. 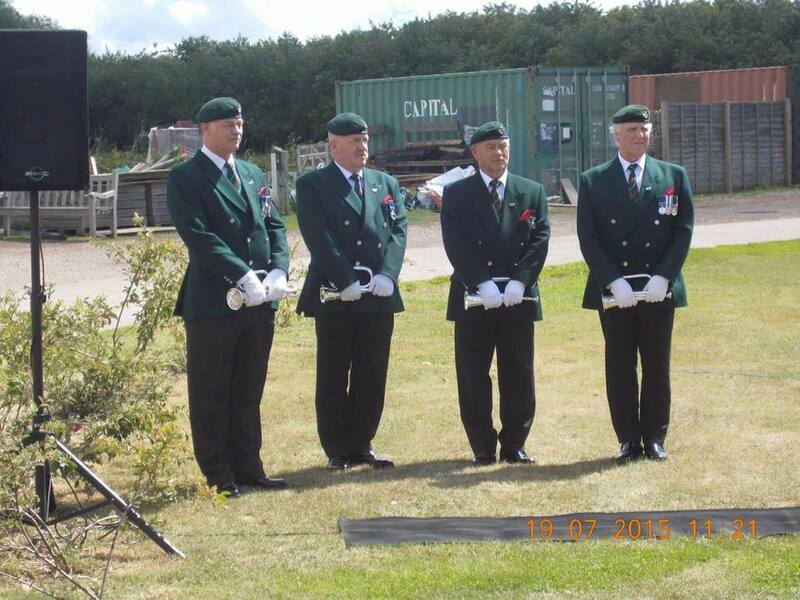 In this regard it was of vital importance to have former soldiers of the Regiment attend the Ceremony. 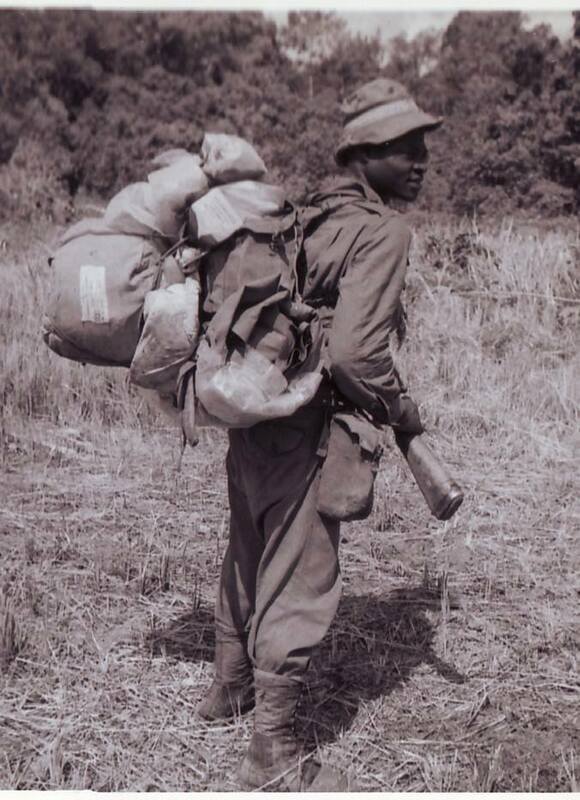 Arrangements were made to bring four soldiers from Zimbabwe, two of whom served in Malaya, and funds were available to do this. Recently we have been faced with some unforeseen expenses. We are now bringing over six soldiers from Zimbabwe. Extra funds are needed to cover the costs of the airfares and accommodation of the two additional soldiers. 1. Please DO NOT USE DIRECT BANK TRANSFER – no Gift-Aid can be claimed with direct bank transfer, and it is very difficult to track. We will not give out RAA Bank account details for this. 2. Please USE PAYPAL (no personal PayPal account is necessary to do so – only a valid credit / debit card). This applies mostly outside the UK, but it can be used within the UK if the donor does not wish to use a cheque or Postal Order. a. 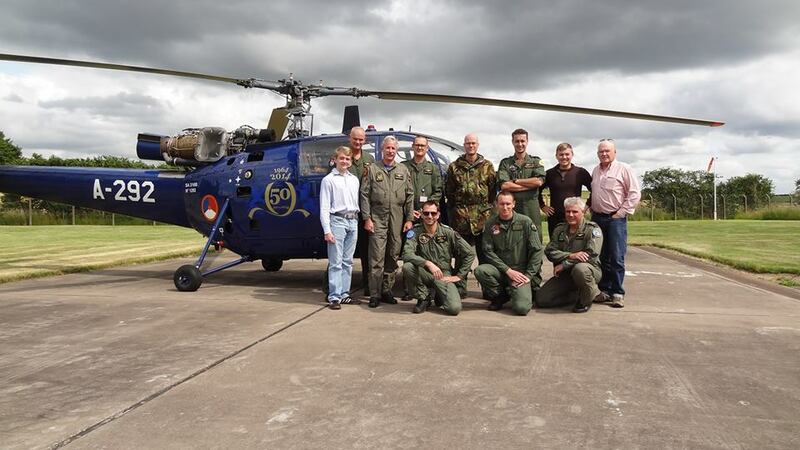 Overseas donors and UK non-taxpayer Donors use this link –http://rhodesianforces.org/ArmyShop.htm#DONout – and click the RAAMT Memorial RAR BUTTON, then follow the procedure. http://rhodesianforces.org/ArmyShop.htm#DONGA – and click the RAAMT memorial RAR (Gift Aided) BUTTON, then follow the procedure. 3. To USE A STERLING CHEQUE / POSTAL ORDER, and send your donation with the COMPLETED Form attached to this email to the address on the bottom of the Form – NOT TO THE RAR BANK ACCOUNT. When paying by Cheque / PO, Gift-Aid MUST be certified via the completed name and address plus the Donation section on the Form. Sadly any deviation away from this procedure will incur unnecessary loss of RAR income – in the case of PayPal, AT LEAST 2% (RAR 5.5% RAA 2.8%) of any international donation, and in the case of any UK donation, up to 20% because Gift-Aid is NOT AVAILABLE through the RAR Bank Account. Even more sadly the use of the RAR PayPal account should be strongly discouraged because it carries substantially higher fees than the RAA PayPal account. Please DO test the links for yourself when you are next online, and you will see the RAA Donation boxes, giving the donor a choice between donating to the RAR Memorial Fund or to the RAA General Fund. Chibaya Moyo, The RNR-RAR Book of Remembrance, which also has some wonderful illustrations (courtesy of John Wynne Hopkins), further copies of Masodja….so dear colleagues, friends and fellow members – please get around to paying for the various copies of the books you have ordered. 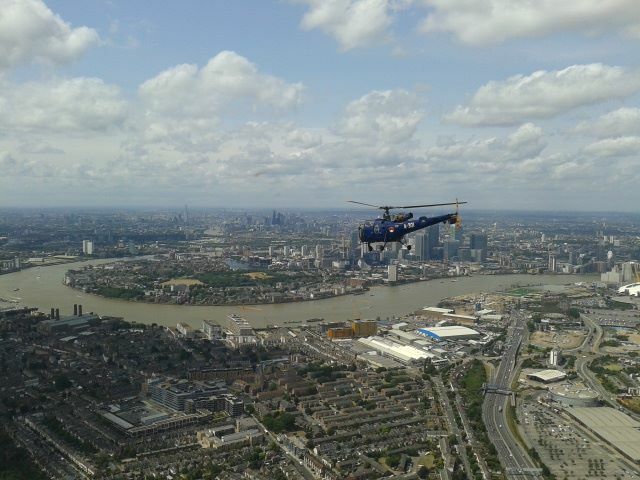 Maybe a good time to pay for the various prints which have been requested – otherwise I fear that 19th July will be a very very busy one, it would make things a great deal simpler if we could forward plan and be proactive. 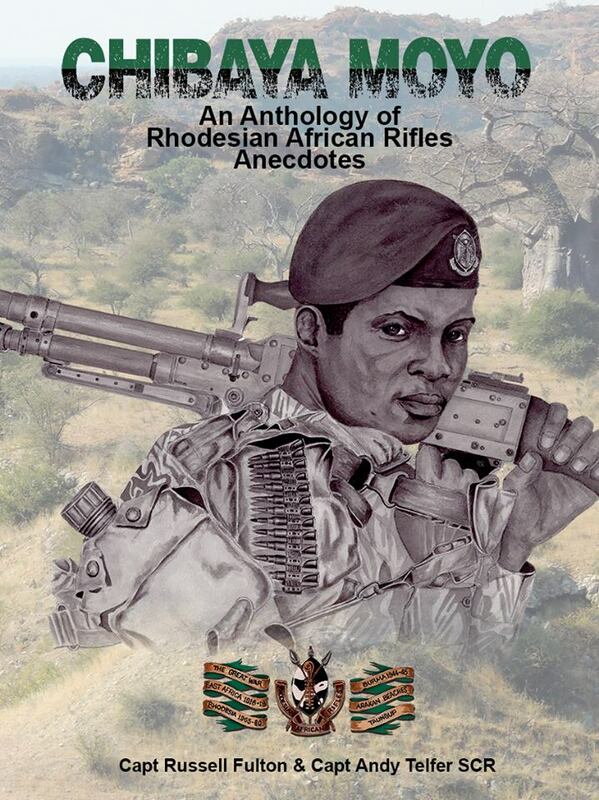 BTW the RAR Association will also be donating an additional print (from the cover of Masodja) to the Rhodesian All Forces group, to help raise some much needed PRI funds for those in need..our brothers and sisters-in-arms, for whom, unless helped by our Rhodesian Fraternity, would be in very dire straits, especially those still living in Zim’ and RSA.